One of the biggest challenges in content marketing is creating a steady stream of content. And not just any content will do; your content needs to be well written, engaging and needs to leave people wanting more. This is no easy feat! Yet the potential benefits of creating amazing content are huge. According to this infographic from Demand Metric, content marketing drives around 3x as many leads as traditional marketing. Assuming you could use some new leads for your business, keep reading! 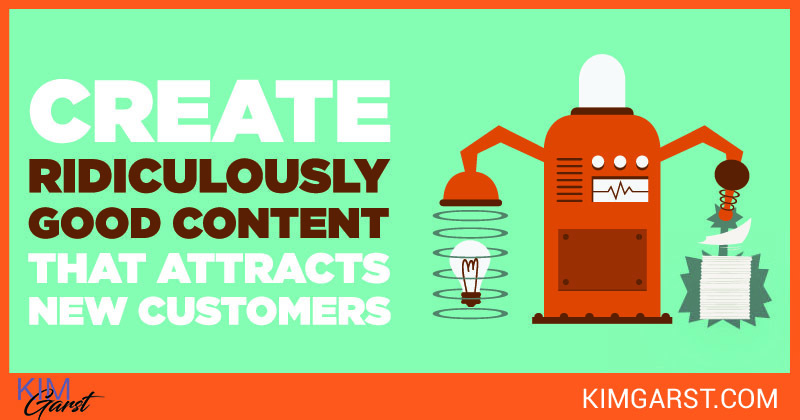 This post will outline some strategies you can use to create ridiculously good content that actually works to attract new customers. The first challenge in creating excellent content is coming up with topic ideas. Following are three strategies you can use to find hot topics that have already proven successful. 1) Use Buzzsumo to find popular content ideas: It’s impossible to know how a piece of content will perform before you put it in front of your audience. But there is a strategy you can use that will greatly increase your chances of getting traction. Using a tool like Buzzsumo, you can find the most popular content in your niche or industry. Simply type in your topic, keywords or a competitor’s website URL, and see which posts and pages have gotten the most social shares. Of course, you don’t want to simply re-write this post! Your audience wants to hear your unique perspective on the topic. Instead, use what you’ve found as inspiration, and create a brand new piece that will resonate with your audience. Your website, email and social media analytics can be a goldmine, if you know what you’re looking for. Here’s why: Your audience has already told you what they love! Using all the resources at your disposal (Twitter Analytics, Facebook Insights, Google Analytics, etc. ), figure out which topics and content-types have worked well in the past. Look for posts that have received tons of engagement, page views or conversions. And if you find one that’s succeeded at all three, you’ve definitely found a winner. My favorite bookmarking site for finding hot topics is Reddit. Using a tool like SnoopSnoo or Reddit’s own search feature, you can track down relevant subreddits (basically Reddit groups relevant to your industry) and monitor threads to see what topics are currently trending. Once you’ve found a relevant subreddit, you can sort posts by ‘top’ or ‘hot’ or even ‘controversial’ to find the ones that are outperforming the rest. Based on what you find, create your own blog or social media content to answer the questions or addresses the issues you’ve identified. Arguably, the hardest part is already behind you. You’ve already identified a great topic, and are inspired to start writing/creating. Now it’s time to put pen to paper and create amazing content your audience will love. Here’s how! At this point, you know which blog posts have already performed well in your niche. 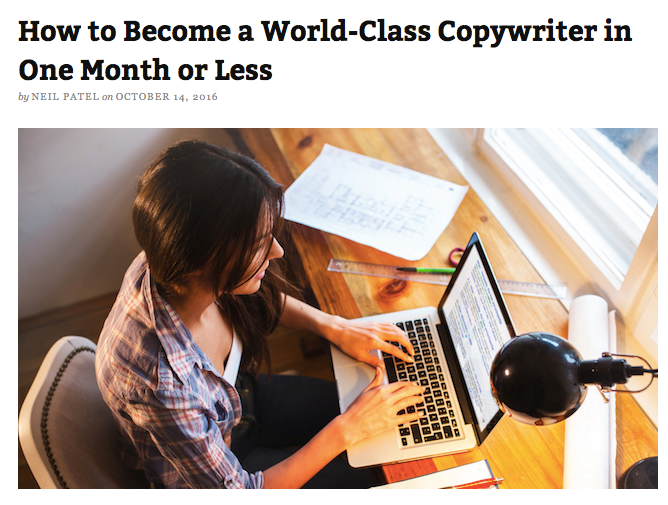 Now’s your chance to use your knowledge and skills to improve on that content. Some research suggests that traffic can vary by up to 500% depending on your headline. This means your blog post titles have a lot of heavy lifting to do! 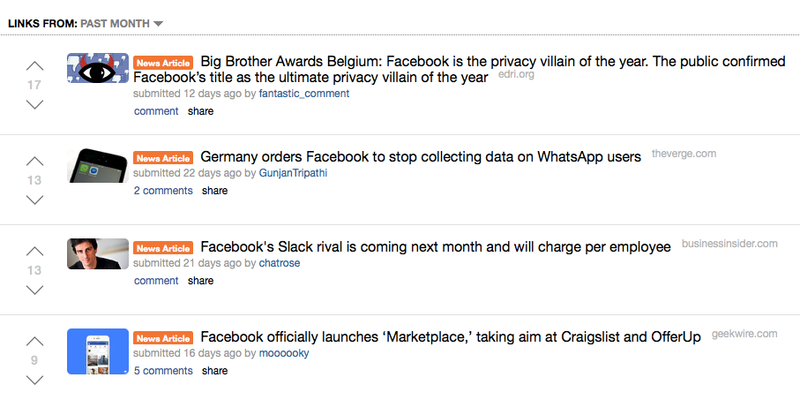 You can also use Buzzsumo to find amazing titles for your blog posts. Simply look through the most popular content in any industry – remember, you just want to see what types of titles have done well – and then spin the title to work with your topic/industry. For instance, if you find that a post called “How To Fix Your Relationship When You Want To Give Up” has proven popular, spin it to make sense for your industry (e.g., “How To Stay Productive When You Want To Give Up”). For more help with creating killer headlines, see my post A Quick And Easy Formula For Writing Clickable Blog Titles. One of the biggest benefits of content marketing is that your audience gets to know you…the REAL you. They don’t want to hear a bunch of industry lingo or dry, academic writing. They want to read stuff that’s simple, straightforward, and insanely useful! A good rule of thumb is to write in a conversational style; in other words, write the way you talk. If you want, look at other people’s writing to get inspired….just don’t try to be exactly like them! Remember: Your audience wants to get to know YOU, so show them who you are through your writing. What strategies do you use to come up with amazing content? Share in the comments below! Kim… Thank you for sharing this! I always feel inspired after reading your posts and walk away with helpful tips for my business. Your writing style is warm and friendly. I always look forward to seeing BoomSocial in my inbox. Wonderful tips, Kim! I will learn to blog like I talk. Thanks! Woow!! Such a nice article for beginners who are starting their own blog, I am a new blogger as well so its very helpful for me Thanks Kim!